East Carolina University is a public coeducational institution that was founded in 1907. This university has historical strengths in education, medicine, theater, music, business and nursing. It offers 21 doctoral programs, 85 master’s degrees and more than 100 Bachelor degree programs. 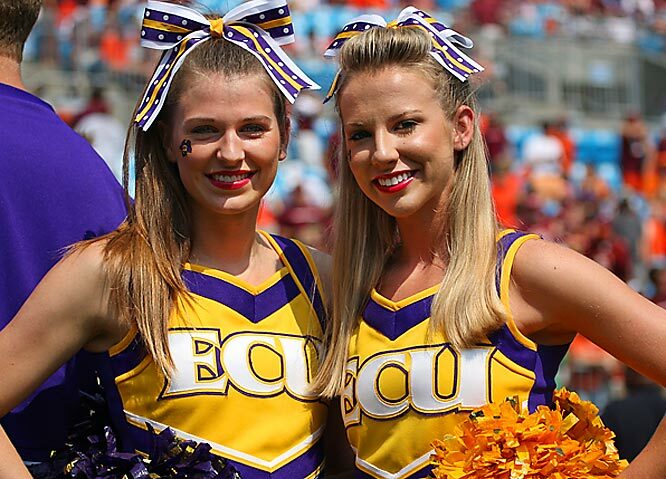 East Carolina University is located in Greenville, North Carolina. The 1,386-acre campus is set in a city, which provides the students with plenty of opportunities that will make their student life memorable. The acceptance rate at East Carolina University is 60.7%. 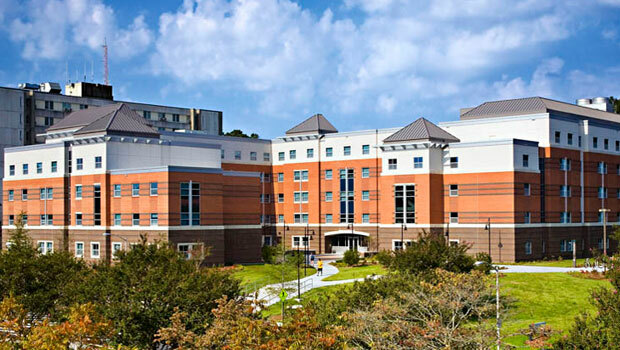 The main campus of East Carolina University features 158 buildings that comprise more than 325,000 m² of residential, research and academic space. Many of the buildings represent the unique Spanish-Mission style architecture. Besides the Main Campus, there are two other distinct campuses: West Research Campus and Health Science Campus. The athletic facilities are located south of the College Hill residential neighborhood. The campus recreational and wellness facilities include the North Recreation Complex, Student Recreation Center, Blount Sports Complex, Jones Fitness Pointe, Team Training Center and Walk/Run Routes. The East Carolina University athletics program has spent $92 million on athletic projects in the period 1998-2011. The East Carolina University campus features four key areas that are intended for campus living: ECU Student Transit, Dining Services, Housing Operations and Residence life. The freshmen are required to live on campus for at least two semesters. The students that are exempted from this policy are those who are older than 21 before the first day of classes, those who commute to school daily from a legal, permanent residence of their parents within a radius of 35 of the East Carolina University address, students with dependent children that are living with them, married students and veterans of the U.S. Armed Forces. The student community at East Carolina University is marked by the Greek system. The students can also get involved by joining more than 300 campus clubs, or becoming part of the East Carolina University football, baseball, ice hockey, lacrosse, volleyball, soccer, ultimate Frisbee, rugby, or wrestling teams. East Carolina University offers a broad range of interdisciplinary and traditional majors, which open many perspectives for the students. More than 100 undergraduate degrees are offered, as well as more than 75 master’s programs. The East Carolina University admissions tests are required, and the students are recommended to complete a college preparatory program. Best courses: Biological and Biomedical Sciences; Communication, Journalism, and Related Programs; Education; Health Professions and Related Programs; and Business, Management, Marketing, and Related Support Services. The East Carolina University tuition is affordable to most students, which is why this university is highly appreciated. The estimated costs for one academic year are $31,453, including the East Carolina University tuition and fees, living expenses (room and board), books, supplies, and insurance. Over 55% of full-time undergraduate students at East Carolina University receive need-based financial aid. The students have an opportunity to receive college/department scholarships, as well external scholarships. “I would say the best thing about ECU is its lovely open campus and the welcoming feel from its students. I remember touring ECU before I was a freshman and just loving how everyone was so friendly and easy going. There were no judgments about grades or extracurriculars that you might have brought in, they were simply happy to have you come tour their school.” – Heather, freshman at East Carolina University. The East Carolina University football team is called East Carolina Pirates. It was founded in 1932, and it is a member of the Conference USA. Some of the East Carolina University notable alumni are: Emily Procter (Actor, CSI Miami), Margaret O’Connor (two-time Pulitzer Prize winner), Dan Neil (The Los Angeles Times, Pulitzer Prize Winner), and Rick Atkinson (journalist and author, three-time Pulitzer Prize winner).